Located in the center of Lambertville, NJ, this restaurant is also a hub for artists to showcase their work, and for musicians to provide their talents. 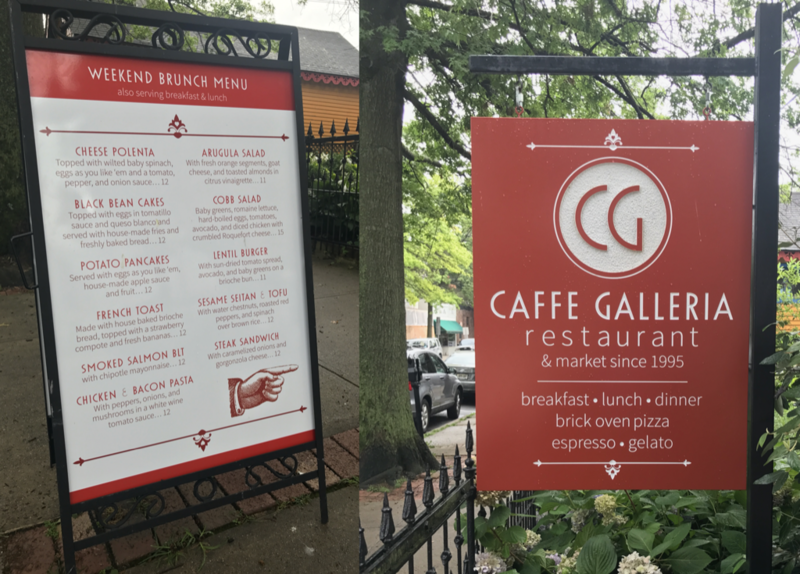 A true community center surrounding good food, friends, and the arts, Caffe Galleria stands apart from other restaurants in the area. I was approached by the owner to create a dynamic and fuller website. Through the initial conversations, we saw a strong need to grow the visual aspect of the brand and style for the restaurant. When I was approached to create a new website, I found that there was not enough to base the style on. The old website was fairly bare-bones and we were not re-using any of it. I needed to maintain the integrity of the original logo while also updating everything else. The original logo had a very similar, if not identical, font as what we are using in the CG. From there, it just came together. A new logo, new website, with new font usage, and menus. 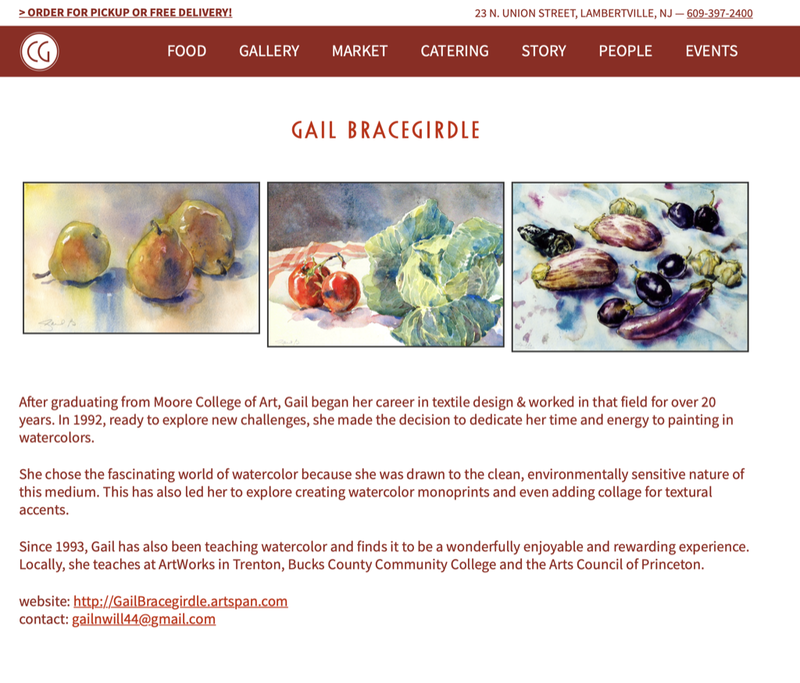 The “Gallery” part of the website now features artists whose work is on display and for sale in the restaurant. Each new show creates a new page just fo that artist, who can then share this with others to help promote their work. The logo needed to be used in various areas; menus, shirts, signage, social. I provided these options which all work perfectly while still keeping their branding consistent. The new site has individual pages for all the artists… over time, we have provided individual pages for the art community. These are available still, even after the art on the walls have changed to the next artist. 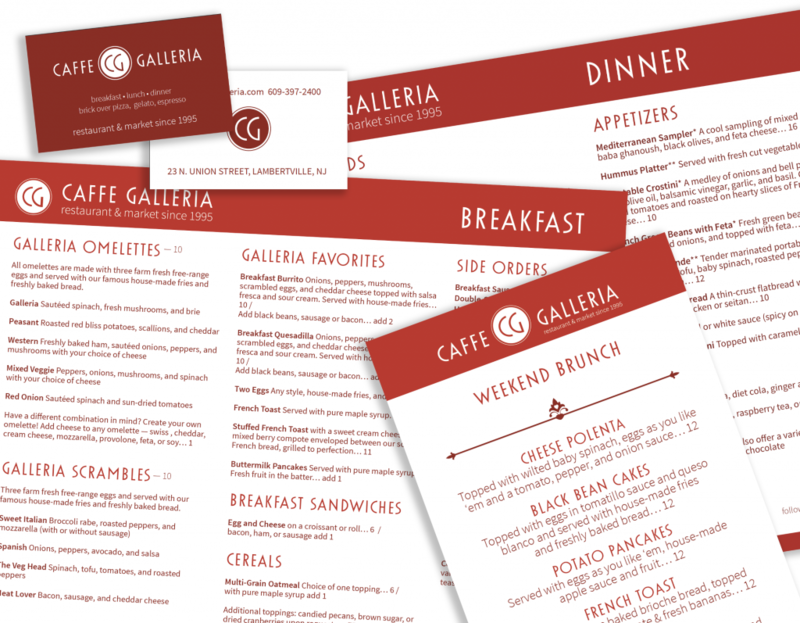 Restaurant menus have a lot of subtle variations, especially when certain items are offered for delivery or in the dining room. 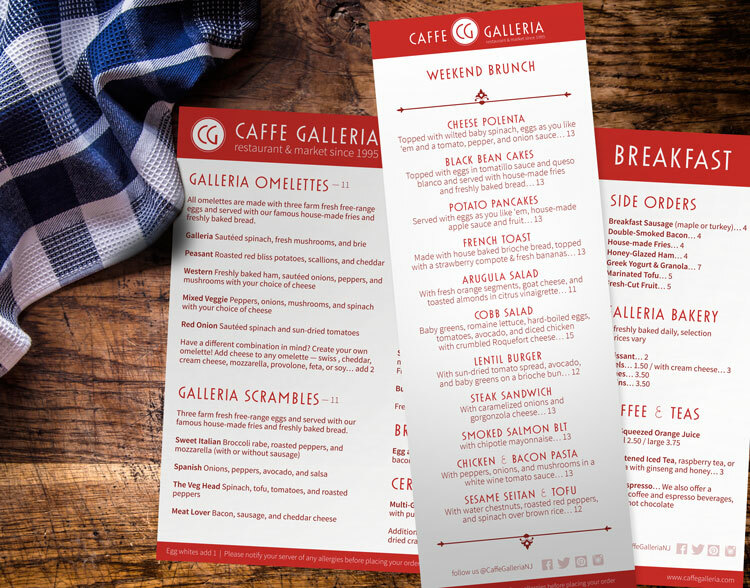 Some of the menus are printed professionally while the catering and to-go menus are printed in-house. 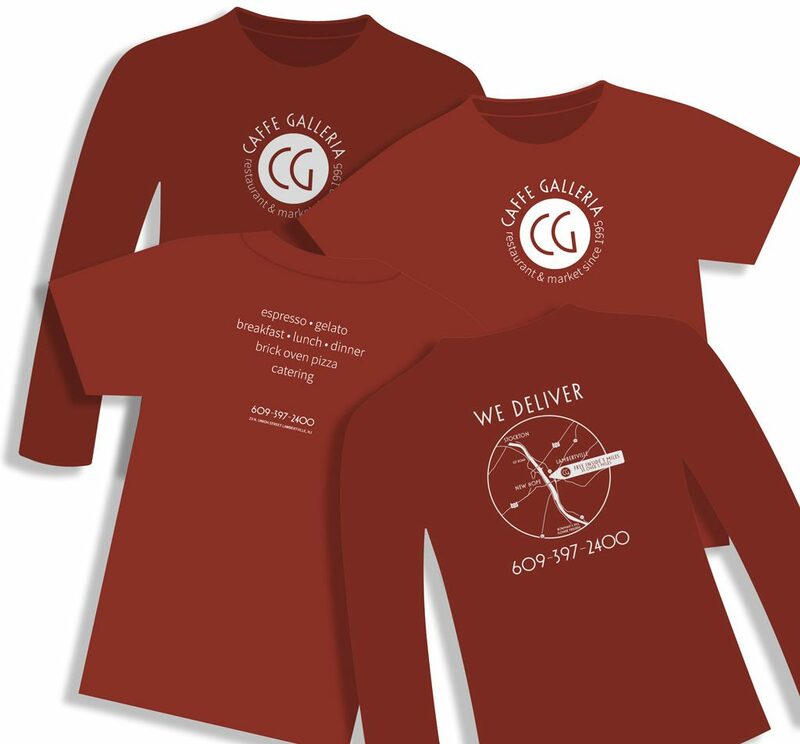 The servers use these shirts while working in the dining room. You can also buy these shirts too!